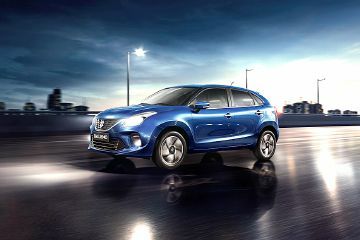 Maruti Baleno price in Nellore start at Rs. 5.55 Lakh. The lowest price model is Maruti Baleno Sigma and the most priced model of Maruti Baleno Alpha CVT priced at Rs. 8.88 Lakh. Visit your nearest Nexa showroom in Nellore for best offers. Compared primarily with Hyundai Elite i20 price in Nellore starting Rs. 5.5 Lakh and Maruti Swift price in Nellore starting Rs. 4.99 Lakh. I have a budget of RS 500000. Which hatchback car would be suitable for me...I am interested in Baleno.. I am confused between baleno, maruti swift dzire and honda amaze? Which one to buy? I want buy a new car, Baleno is right choice or not? Four variants, two transmission options. But which one makes sense for you? Baleno vs Vitara Brezza vs Ciaz: Mega Maruti Suzuki Comparison! April 2019 Waiting Period: When Can You Get Delivery Of Baleno, Elite i20 & Polo?